You are currently browsing the archives for the ABM category. It’s disgusting to hear the DFL lie like that. Only people in the lowest 2 income tax brackets will have their rates cut. There’s nothing in the bill that remotely relates to corporations or upper income tax brackets. 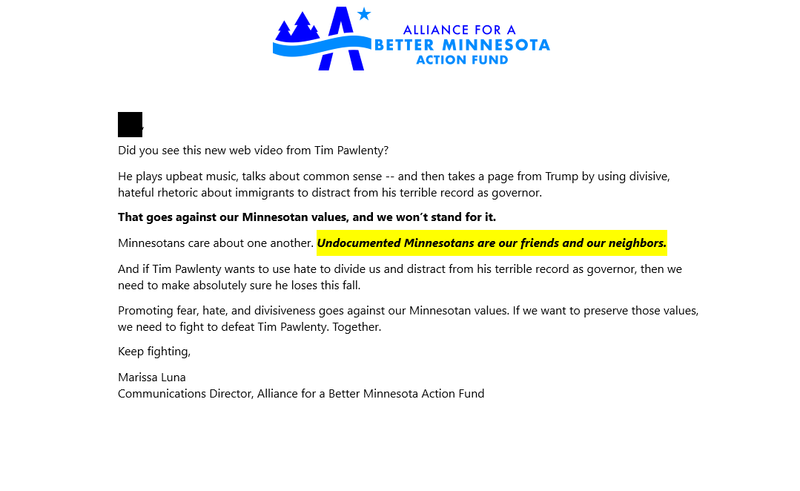 Apparently, it’s asking the DFL too much to actually tell the truth. The only legitimate conclusion that can be drawn is that they’re disgusting people who haven’t hesitated to lie to get their way. I expect better than that. I can’t vote for people I can’t trust. On a related matter, Gov. Dayton vetoed the tax conformity bill in front of a room filled with students. This November, it’s time to throw these liars out. It’s time to reject their dishonesty. It’s time to demand people that tell the truth and who do their utmost to keep their promises. Finally, it’s time to elect pro-growth politicians. 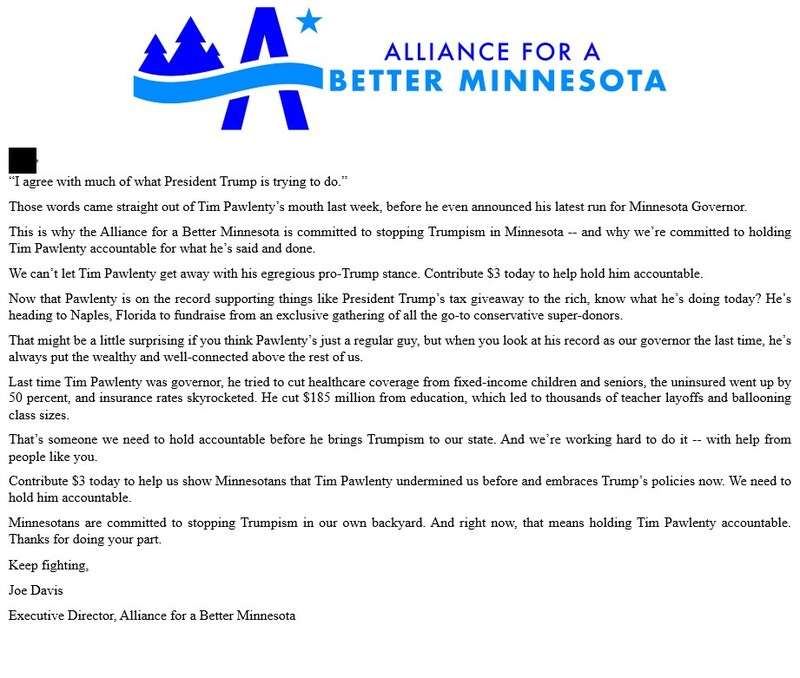 It’s time to reject the DFL socialists. Gov. Pawlenty’s campaign strengths are two-fold. First, he’s able to raise a ton of money, something that’s been missing from GOP coffers for years. Next, he’s a great retail politician. On the stump, he’s got the gift of connecting with people. As the time-tested saying goes, you don’t get to govern if you can’t get elected. I won’t criticize Prof. Schier but saying that he’ll have lots of questions to answer about being a Washington lobbying is what the media will care about. Voters will care about policies and Gov. 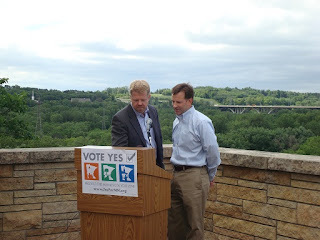 Pawlenty’s plan for making their lives better. It isn’t that those questions aren’t legitimate. It’s that they aren’t that important to voters unless there’s some sort of scandal Pawlenty’s involved in. And yes, that’s true about most politicians. That’s why the Trump-collusion ‘investigation’ has been such a failure. After 2 years of digging, they don’t have anything to show for their efforts. People have moved on. 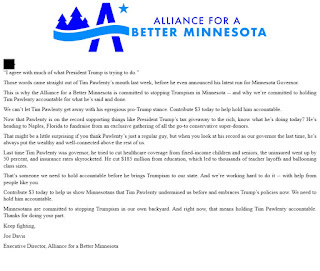 Honestly, I’d welcome a spread of “Trumpism” to Minnesota. Compared with the Dayton administration’s incompetence, some Trumpism and, for that matter, Pawlentyism would be refreshing. Let’s simplify this as much as possible. Tim Walz will have tons of strife with mining because his running mate is a strident environmental activist. Yes, he’ll win that fight but the strife will exist between him and Rep. Flanagan. 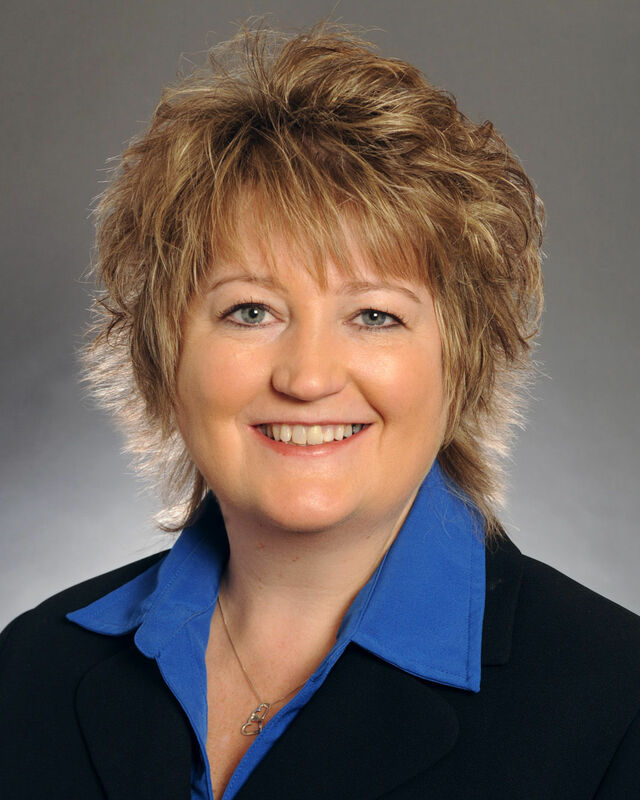 Rebecca Otto won 1 district in the DFL’s statewide straw poll on the strength of a strong turnout of environmental activists in the Eighth CD. If I had to guess, Otto is the frontrunner because Walz isn’t crazy enough for the activists. That doesn’t mean he isn’t crazy. It just means he isn’t as far left as Otto. 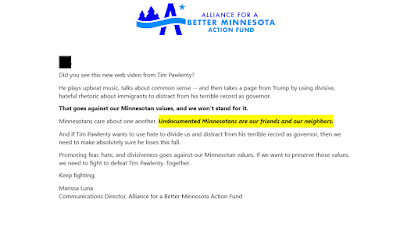 When it comes to deceitful advertising, few organizations are more deceitful than the Alliance for a Better Minnesota. In their most recent ad, ABM ties the Trump tax cuts with education funding that’s already been cut. It’s astonishing to see that level of dishonesty. I wish I could say it’s surprising but it isn’t. 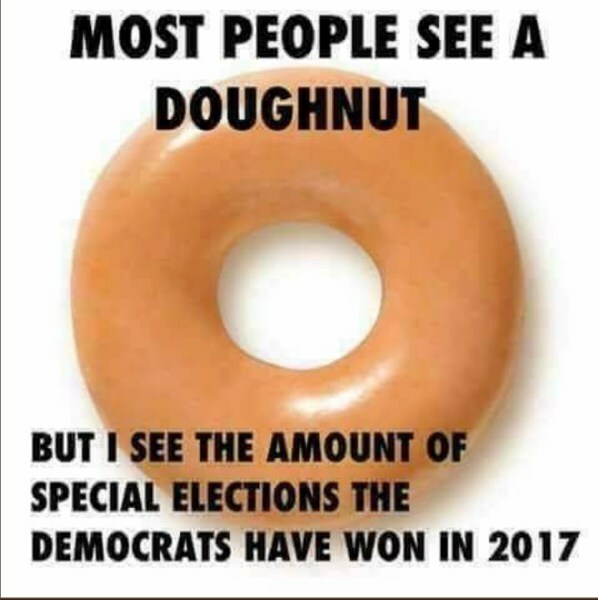 It’s what’s expected. If it’s to be believed, K-12 Education was cut by the GOP legislature and Gov. 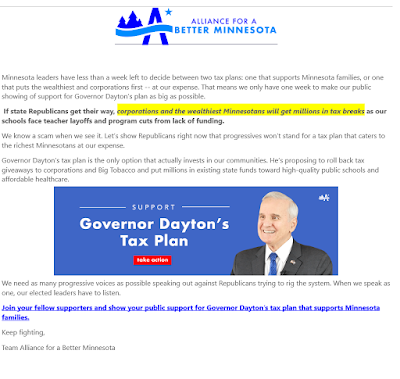 Dayton during the special session in anticipation of the Republicans passing the Tax Cuts and Jobs Act, which ABM insists will have an injurious effect on state funding of K-12 Education. The DFL’s advertising has nothing to do with the truth. It has everything to do with tugging on people’s heartstrings by dishonestly implying that the Tax Cuts and Jobs Act will lead to draconian cuts in K-12 Education funding. 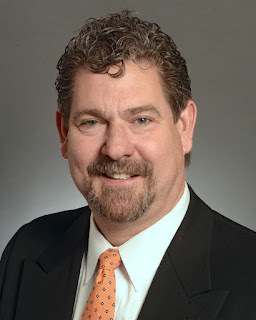 The DFL: all they have to offer is deceit itself. Here’s my statement to Mr. Davis: Pop the cork on that champagne. Celebrate those moral victories. Savor them. Keep doing what you’re doing. Keep telling yourself that it’s just a matter of time before people come to their senses. 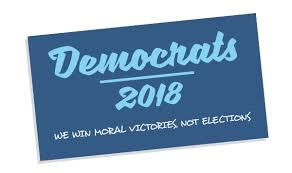 In the meantime, Republicans will keep winning elections, not just moral victories.